Chef Alain Ducasse is putting his own spin on the dinner cruise with Ducasse sur Seine. Starting in September 2018, passengers can enjoy his contemporary French fare on board a cruise boat that is 100% electrically powered. 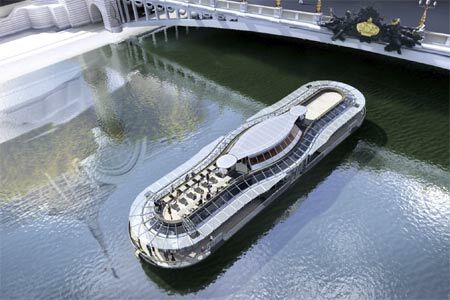 There will be two voyages daily along La Seine: 12:45 p.m. and 8:30 p.m. Pricing starts at 100 € per person. For more information, visit the official website. Greek restaurant Mavrommatis is tempoarily closed for a facelift. Look for it to re-open in Fall 2018. Mavrommatis, 42, rue Daubenton, Paris 75005, 01 43 31 17 17.